Rachel Bloom attends the 72nd Annual Tony Awards at Radio City Music Hall on June 10, 2018 in New York City. 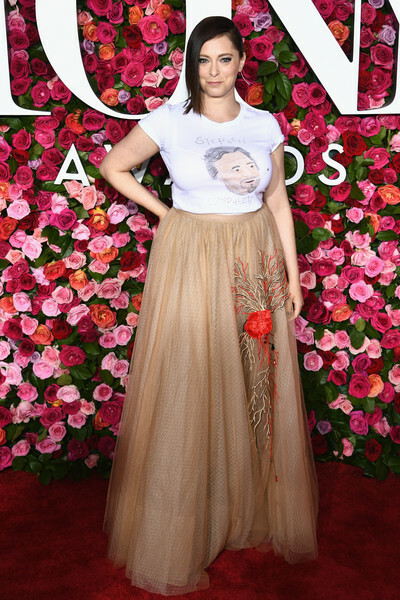 Rachel Bloom went casual on the red carpet in a Stephen Sondheim tee by Ali Segel at the 2018 Tony Awards. Rachel Bloom dressed up her tee with an embroidered ball skirt by Galia Lahav Couture.